Desire lines at the new Sainsbury's in Selly Oak have already appeared. 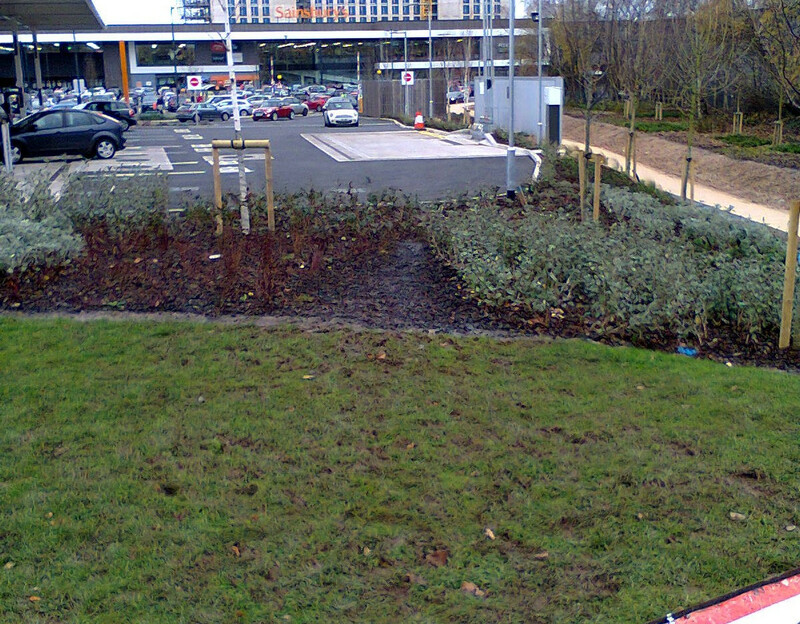 The pale-coloured path on the right leads to a grating that blocks off access to the canal bridge and the park beyond. People are trying to reach the path so they can get to and from Sainsbury's. Some take the route shown, whilst others are scrambling down the bank next to the bridge.